There have been multiple rumors claiming that Google is planning to enable Windows 10 dual boot support on its own Google Pixelbook. 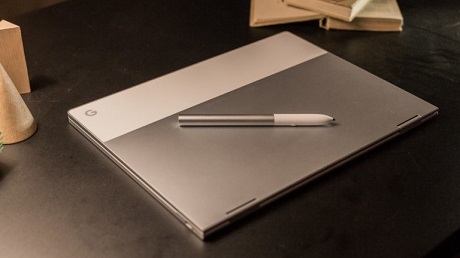 The company could allow the Pixelbook to be Windows 10 certified meaning that Google Pixelbook could soon run Microsoft’s Windows 10. If reports are found true and accurate, then we could soon see a Google Pixelbook running Windows 10. By the looks of things, Google’s device might pass Windows Hardware Certification Kit (WHCK) and Windows Hardware Lab Kit (HLK) certifications. If the certifications are passed, then you might soon see the Pixelbook running two Operating systems on one device. Google’s “AltOS” a.k.a. Project Campfire might be an internal name for the project that is supposed to create a dual-boot environment on Chrome OS. A little bit of digging by Windows Latest revealed the Campfire Project has been updated and Google has quietly renamed “AltOS” to “dual boot”, confirming that the project is indeed related to dual-booting of two OSes. Chromebooks are currently seeing an increased sale especially in the education sector in several markets in the United States. Microsoft also has its share of the education market with the Redmond Giant introducing Windows 10 in S Mode which limits users to install only Microsoft Store apps. More on Google Slate(s) can be found on OUR FORUMS.